Rosslyn Chapel shot on iPhone 6. 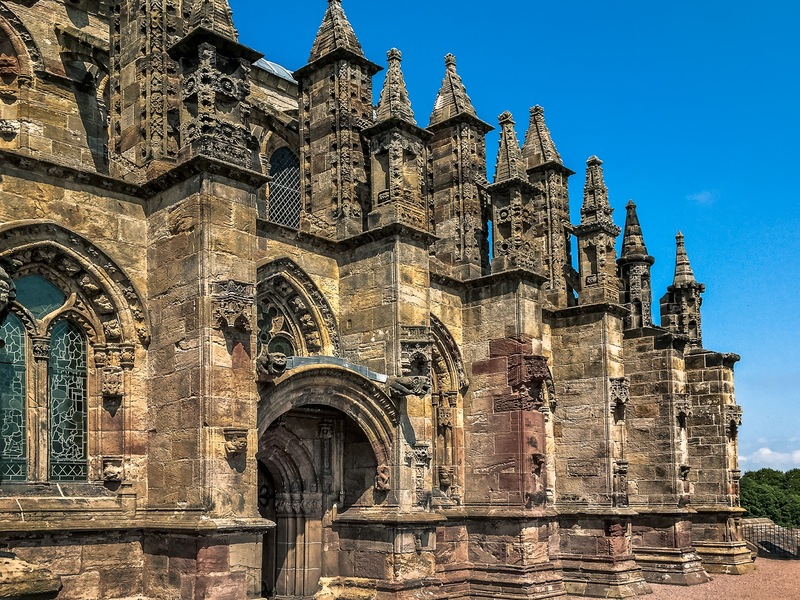 For centuries, people did not know much about Rosslyn Chapel, located in the sleepy village of Roslin, Midlothian, Scotland. Thanks to Dan Brown and Tom Hanks, the village has experienced an economic boost in their tourism industry. The chapel was prominently featured in the 2003 bestselling novel The Da Vinci Code and its 2006 film adaptation. Interestingly the place is rather small compared to the movie scenes. At near the end of the movie, you see Langdon (Tom Hanks) and Sophie Neveu ransacking in this dark room. The actual "room" is no bigger than a walk-in closet. Authentic imitation chalice can be bought at their gift shop. 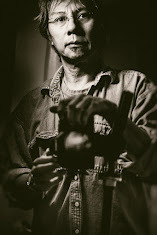 Techie Notes: While in Great Britain, my tendonitis got worse from using the heavy Canon 5D mk II and the EF 24-70mm. After two days I ended up using my old iPhone 6 instead. I was pleasantly surprised that the iPhone was able to deliver decent results. Recently, I have been using Snapseed, a free app from Google. I like the powerful features and filters. The only complaint I have is that the sharpening and structure filters are applied globally. So sometimes I would instead run the image through Lightroom or Photoshop for sharpening. Overall, the combination of iPhone 6 and Snapseed is good stuff. I am looking forward to the iPhone 7.